BATHURST REGIONAL ART GALLERY (BRAG) is the first purpose-built regional gallery in New South Wales. It is a modern gallery that regularly showcases state-of-the-art exhibitions of contemporary work, including a wide range of touring exhibitions. 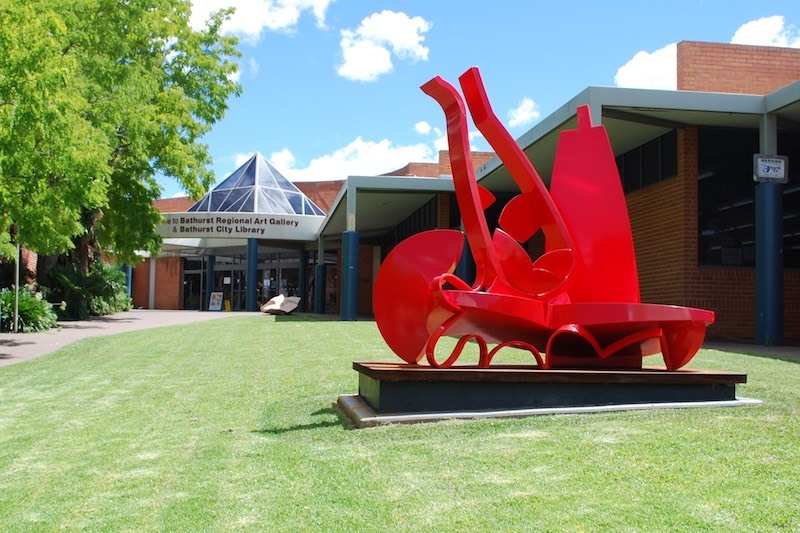 Owned and operated by Bathurst Regional Council, BRAG holds an average of 25 annual exhibitions, meaning regular new work for repeat visitors. In addition to its award-winning calendar of exhibitions, BRAG manages the celebrated Hill End Artists in Residence Program, which gives artists from around the world the opportunity to spend four weeks living and working in this iconic Australian location. From 1955, the BRAG permanent collection has grown to include over 2,000 works with a total value of over $11.5 million. A diverse array of media is represented in this collection, including paintings, works on paper, photographs, prints, sculptures, ceramics and new media works by significant artists such as Jean Bellette, Russell Drysale, Jonathan Jones, Mandy Martin, John Olsen, Lloyd Rees, Grace Cossington Smith and Fred Williams. In particular, the gallery is renowned for its strong collection of post-1950s Australian art, studio ceramics, historic and contemporary work from Hill End, and its Lloyd Rees Collection.